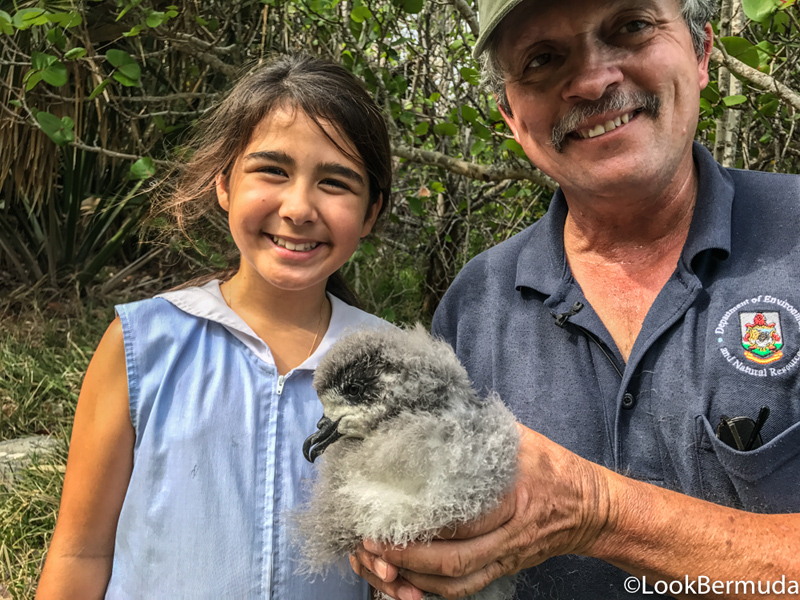 The 2017 Cahow nesting season saw the nesting population increase to a record number of 117 established breeding pairs [those that produced an egg, whether it hatched or not]. 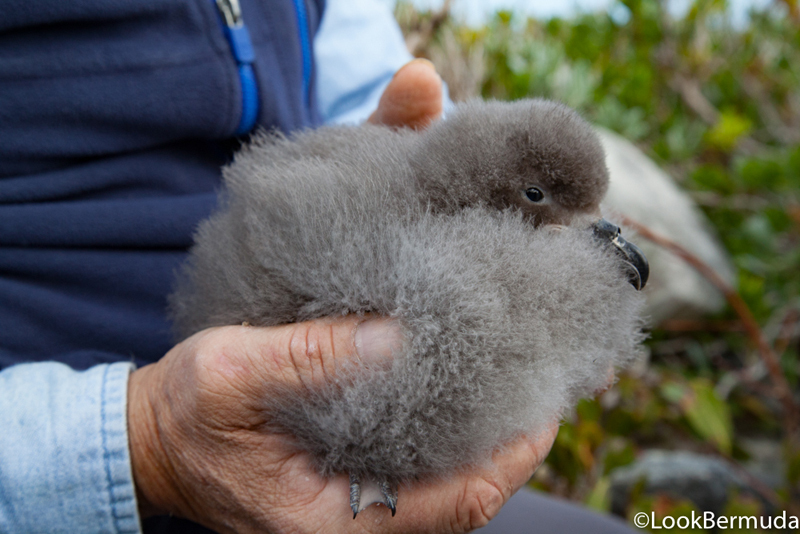 In addition, a record number of 61 chicks successfully fledged out to sea [the first time the number of fledged chicks has exceeded 60]. 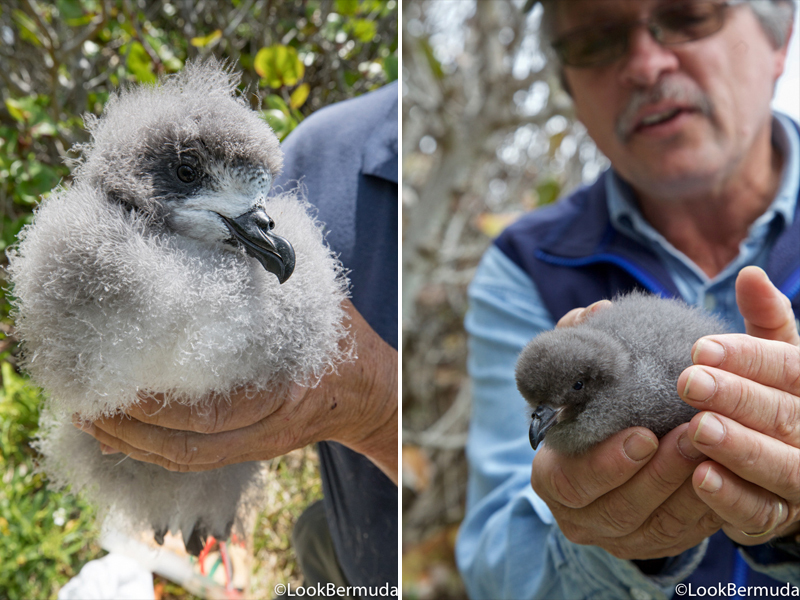 The most recent nesting / breeding season for the Critically Endangered Bermuda petrel, or Cahow, which is Bermuda’s National Bird and one of the rarest seabirds on Earth, began in late October 2016, and ended on the night of 27/28th June, 2017, when the last Cahow chick fledged out to the open ocean, not to return for several years. The Cahow is endemic or unique to Bermuda, nesting no-where else on the planet. It is pelagic, spending most of its life in the middle of the ocean, and returns to land only to breed, laying a single egg annually. 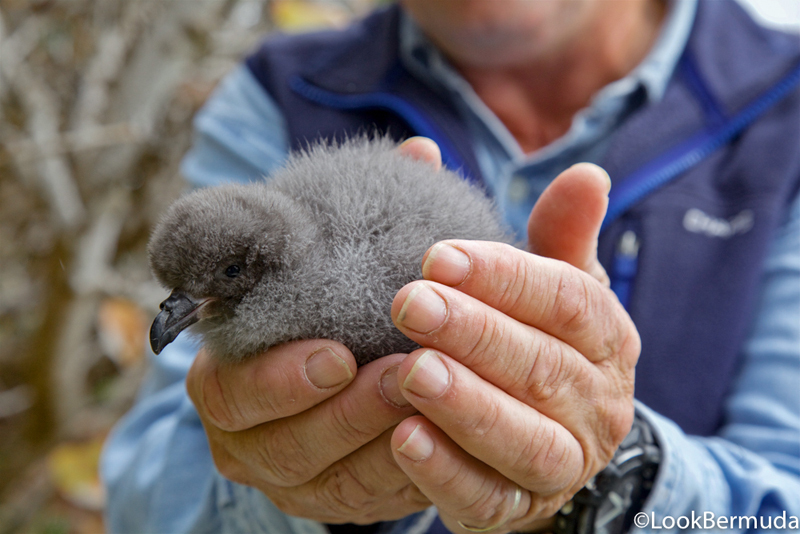 It nests on only 6 small islands totaling only 20 acres, in the Castle Harbour Islands Nature Reserve, where it is protected by wardens and is the subject of an intensive management program. These Cahow numbers have probably not existed since the 1600s, when the formally abundant species was decimated by the arrival of human colonists on Bermuda, through overhunting and predation by introduced mammal predators such as pigs, rats, cats and dogs. 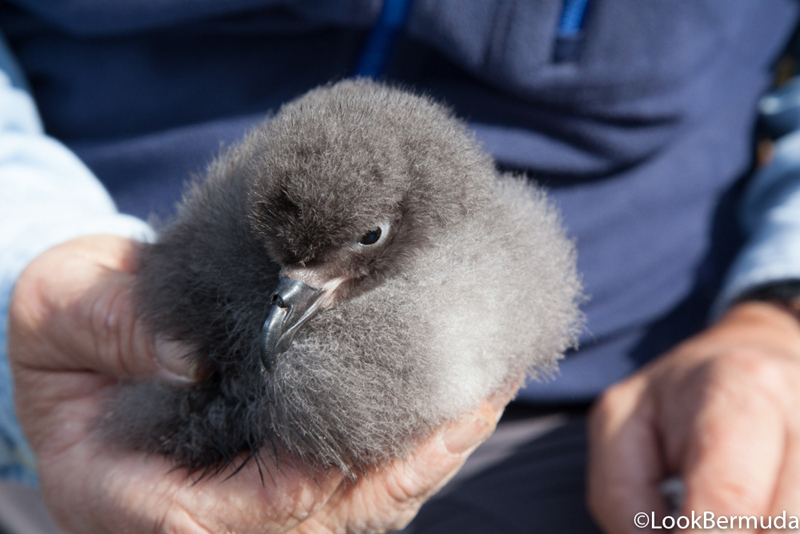 When active management of the Cahow and its tiny offshore nesting islands began around 1960, the entire population consisted of only 17 to 18 breeding pairs, producing a total of only 7 to 8 chicks annually. The population faced many threats and challenges, including predation by introduced rats swimming out to the nesting islands, lack of suitable deep nesting cavities, nest competition by the larger White-tailed tropicbird or Longtail, which took over nest burrows and killed the defenseless Cahow chicks, and light pollution from the nearby Naval Air Station [now Bermuda International Airport], which disrupts the night –flying cahow and disorients the chicks when they depart to sea. In its 5th Season, the Nonsuch Expeditions CahowCam, in partnership with the Cornell Lab of Ornithology had 600,000 views for a total of 8.5 million minutes of video being viewed by scientists, students and followers from around the world. 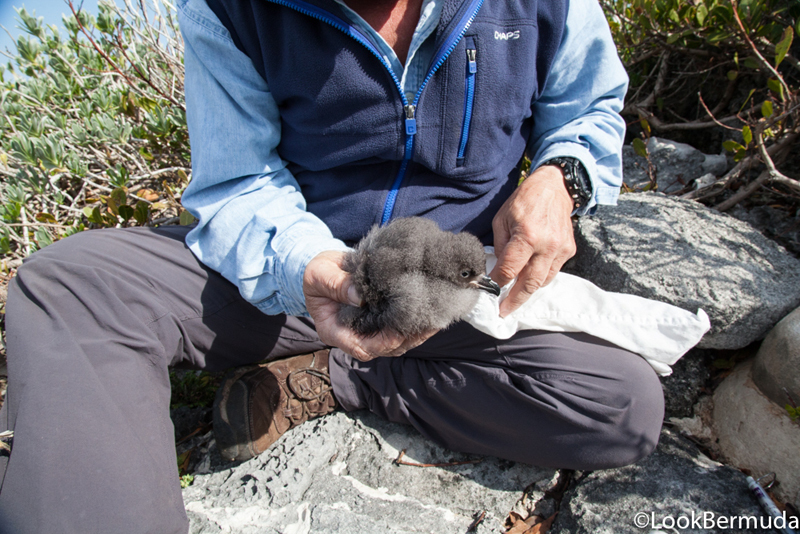 The real-time, 24/7 window into the Cahow’s underground nesting chambers is allowing the team to confirm and in some cases re-write what is know about the Cahow’s nesting habits and is contributing greatly to the recovery of the Species. Well done Mr Maderios. We all like to talk about (our) Bermuda Cahows. You’re the man making it happen. Hats off to Mr Wingate also who started the project!